RV owners spend approximately 3 to 4 weeks out of the year in their RV. These vehicles offer travelers a way to explore places while taking advantages of many comforts. However, maintaining an RV does not come cheap. Replacing the tires alone can cost up to $2,500. And you still have to account for sales taxes, insurance, and other expenses. 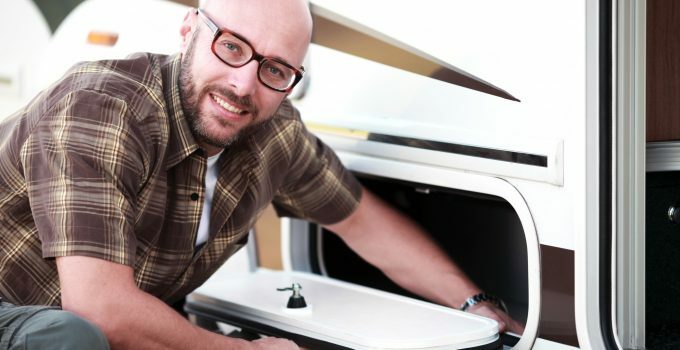 In this article, we’ll share some RV maintenance tips that can help you save thousands of dollars. The best way to save some money, in the long run, is by taking care of your RV to avoid any problems. Cars tend to need an oil change about every 3,000 or so miles, well, a similar process applies to RVs. Since RVs tend to sit a lot more than a car, you will be fine performing seasonal oil changes on your RV. Seasonal oil changes will ensure everything under the hood remains lubricated and works as it should. An oil change every 3,000 to 4,000 miles will prevent expensive engine service. Tires are very important in every vehicle but unlike a family car, RV tires are subject to more wear and tear. In the event your RV tires give out, you’re looking at an expensive replacement. Although you will eventually have to buy new tires, there’s no reason why you can’t extend the life of your current tires. If the pressure of the tires is not right, it can lead to dangerous conditions. You will have to check the tire pressure every season to accommodate for the changes in temperature. Ensure your RV’s tires are wearing out evenly, this will keep them in good condition for a long time. Perform regular tire rotations. Proper tire alignment can help prevent a number of accidents. The roof of an RV is vulnerable to leaks. If you want to prevent leaks from happening and causing costly damages to your RV, you should inspect the roof for leaks at least every three months. Start by checking the seems of the RV located around skylights, vents, AC unit, and roof edges. To prevent water damage, you can use sealants if you spot a leak in any of the RV’s vents. For example, this product can help stop the damage done by water. The last thing you want while on the road is for the battery of your RV to die. Most RV batteries last about 3 to 5 years before they begin to lose their capacity. If your RV’s battery is getting up there in age, you’ll want to ensure it’s charged at all time with the right voltage. It doesn’t hurt to get a multimeter battery tester to ensure you have the right voltage. Not paying attention to the wastewater system of your RV could end up costing you thousands of dollars in repairs. Ensuring you use the proper chemicals is key for keeping these running smoothly. Gray and black water systems require different types of chemicals. During long trips, it becomes more important to have the right amount of fluid. Also, make sure you flush the system on a regular basis to prevent clogs and damage to the system. An RV has many different sets of filter systems, similar to a car. To keep your RV in top shape make sure once every season you replace the coolant, fuel, air, and hydraulic filters. You can take care of replacing these filters whenever you take your car in for an oil change. Failure to do so will cause extra wear and tear in each system and you might find yourself spending thousands in repairs. As with every vehicle, you want to make sure you pay attention to the breaks. 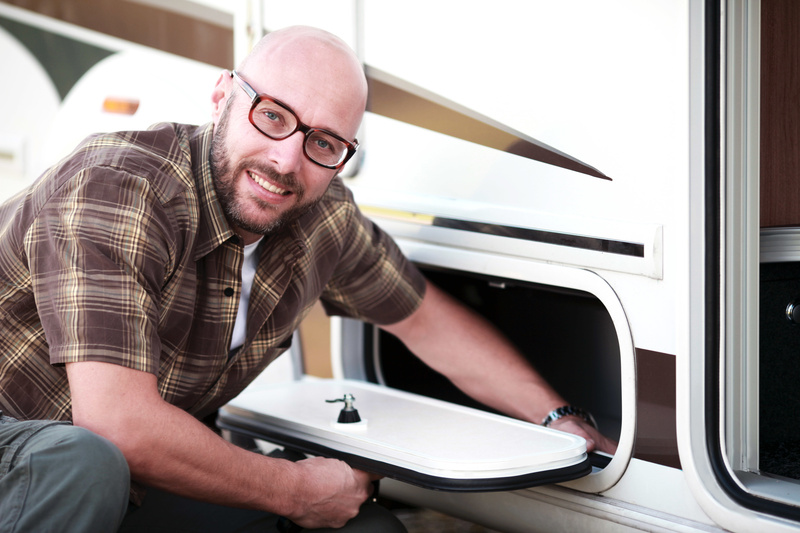 Before you get ready to go on a long trip, make sure you inspect the breaks in your RV. The wheel bearings are an important component of the breaks system in an RV. Keeping these well lubricated will prevent improper wear an tear of the RV breaks. Remember, replacing the breaks system in an RV can cost a lot of money. But maintaining the breaks can extend their life by a few years. If your RV has slide outs, you can’t forget to maintain these. Neglecting the slide outs can cause damage to the sealant and lead to leaks. Start by cleaning the slide outs on a regular basis to clear them off the dust and debris that can cause damage. Make sure you maintain it well lubricated to prevent the motors from overworking. Also, inspect the slide out for leaks. If you spot one, you should take care of it right away to prevent the problem from escalating. Your RV is your home away from home while you’re on the road. Therefore, you rely on the electrical system working properly more than you might think. What would you do if the electric system becomes faulty and you can no longer run your appliances? Aside from being able to plug in a moving toaster, the electrical system also keeps the RV safe while on the road. The electrical system ensures all the lights work and keeps you safe in case your RV breaks down. Have a professional inspect the electrical system to extend the life and prevent problems. The awning might not seem like a big deal, but if left unattended for long periods of time it can wear out. Mildew and mold can grow in the awning if it’s not properly cleaned right away. Dirt and debris can also cause wear and tear in the long run. The build-up can also become a nest for bees and other creatures, especially while going camping. Keeping up with your RV maintenance can save you thousands of dollars a year. Start by performing regular oil changes, taking care of the breaks, rotate the tires, and check the sealing. If you want to read more tips on how to save money while on vacation, check out our travel section. You can’t wait to walk down the aisle and marry the love of your life in a few months. But that doesn’t mean you necessarily want it to be a church aisle. And that’s okay. In fact, research shows that just 26% of people had their weddings in religious institutions in 2016. If you’re not fussed about a church wedding, there are plenty of other options. Here’s a rundown on five great inexpensive wedding venues that you could go for. 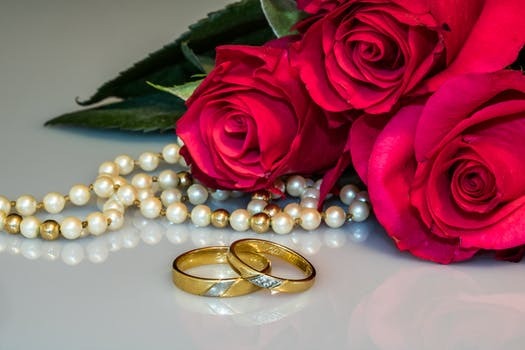 If you’re serious about saving on wedding costs, you can’t go wrong with meeting your bride or groom at the courthouse. A civil ceremony held at a county clerk’s office or a city hall costs a relatively small fee — typically under $100. In fact, in some areas, they are even free. Keep in mind that courthouses usually limit attendance to between five and 10 guests, though. Have you ever thought about hosting a block party as a way to celebrate your big day? This isn’t exactly a conventional approach to getting married. But if you and your spouse are known for being outside-of-the-box thinkers, your guests will absolutely love it. With a special event permit costing a few hundred dollars, you could close off one of a city’s streets and then get married. At your marriage ceremony, you could throw a barbecue or even hire some food trucks. Note that you might need some extra licenses or permits if you plan to serve alcohol and food. If you want your wedding to be as close to free as possible, throwing a low-cost ceremony at your house is a smart idea. 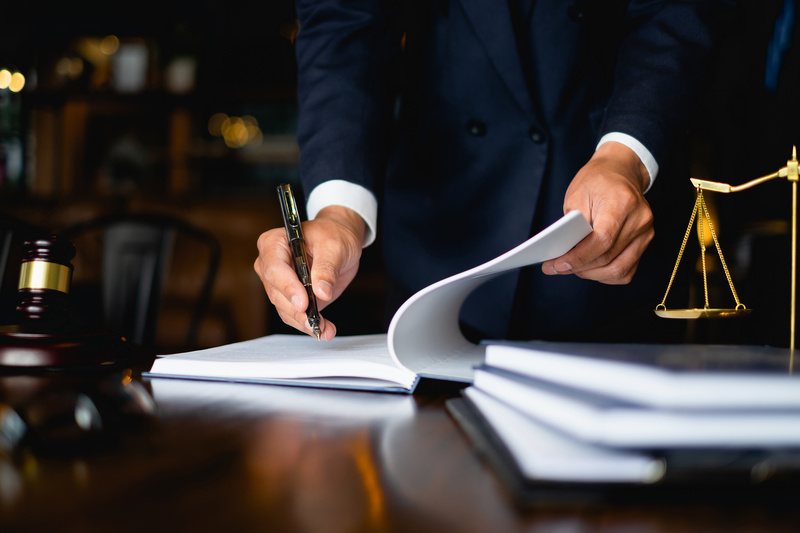 In this situation, the only things you’d have to worry about paying for are decorations — such as floral arrangements — as well as dinnerware, chairs, tables and other items you might not have and can’t borrow from family and friends. One of the most romantic yet inexpensive places to have a wedding is on the beach. An example of this type of low-cost, scenic venue is the secluded Fisherman’s Cove available through the Long Reef Golf Club in Australia. This is one of the most talked-about wedding venues Sydney residents can enjoy due to its wonderful photo opportunities along beaches, at a lush golf course and in front of rock outcrops. Let’s say that you and your significant other are both book lovers. Or maybe you had your first date at a museum. Why not have your wedding in a library or a museum? This would allow you to enter your marriage surrounded by artifacts, books, and art. Both museums and libraries — especially ones that are tinier or are not sought after as much — tend to have relatively smaller price tags. In addition to highlighting inexpensive wedding venues, we offer tips and advice about how to be more frugal in a number of other ways. 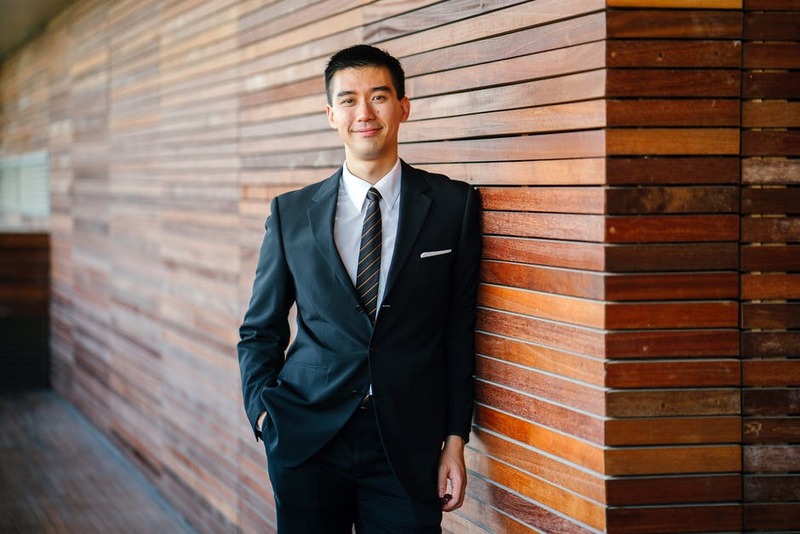 Take a peek here to find out more about how you can save money and thus enjoy a better quality of life for the long-term. 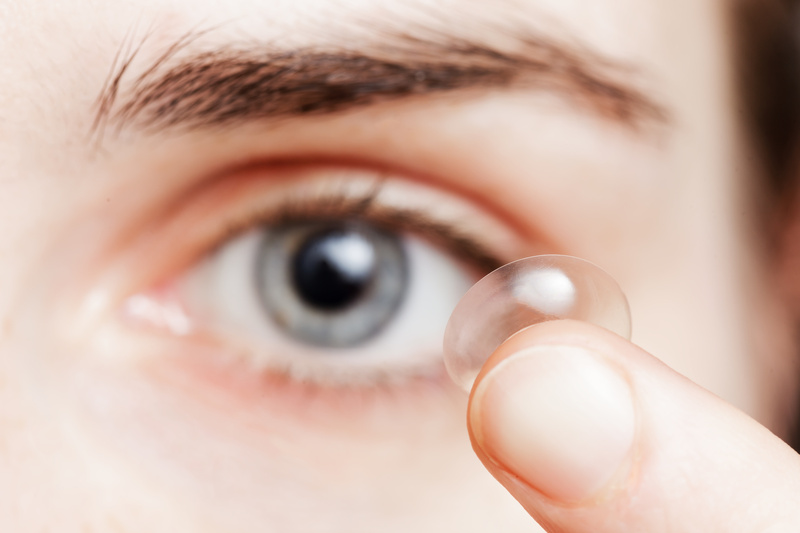 Did you know the average contact lens wearer spends about $220 or more on contact lenses each year? And if you need toric contact lenses (for people with astigmatism), you can be looking at $500 to $700 per year. Yikes! 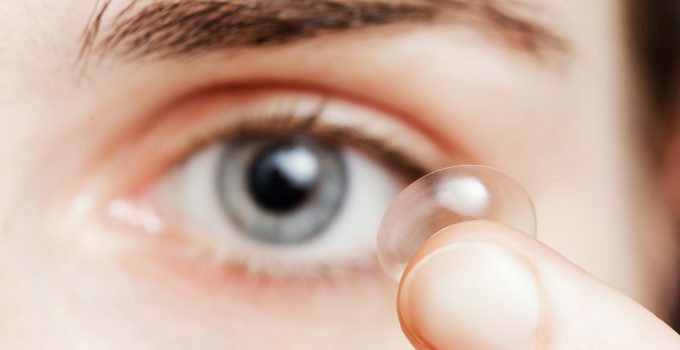 If the cost of contact lenses is starting to feel like a hefty burden to you and you’re wondering if there are ways to save on them, the answer is yes–but you have to know where to look. Here are five simple ways for you to save money on contact lenses. Some people never think to visit the vision centers in big box stores because it’s just not where we are used to thinking of when it comes to eye care. However, you could be missing out on some great deals. Vision centers in big box stores usually have their own optometrists, accept most types of health insurance, and offer some type of discounts for their members. So, if you’re already a member, you could be saving big bucks on your contact lenses. If your job provides FSA accounts, take it! The money you put in there will be pre-taxed and you can use it not only to buy contact lenses but contact solution as well. In addition, you’ll also be able to use your FSA money to pay for your eye exams and other vision expenses as well. Many stores (online and offline) offer deals to new customers as a way to incentivize people to choose them. Before you order a new stash of contact lenses for the next year, look around and see who has deals for new customers. Just make sure the retailer you are buying from each time is a reputable retailer. You can always check with the Better Business Bureau before buying. Your optometrist doesn’t know your budget so saving you money is not at the top of their list. They will recommend what they think is the best choice for you, what’s the most comfortable, and what’s the most popular in the market. But maybe you don’t care about what’s the most popular and you don’t need extra moist contact lenses. Before purchasing, always ask your optometrist for options to choose from. Always check to see who has the best deals before you shop and the latest promo codes that are out on Clearly Contacts to help you save on contacts. It’s no secret that shopping online can bring us huge savings. With online shopping comparisons at the click of a button, it’s easy to find out who has the best deal in a matter of minutes. Don’t let this useful resource go to waste. 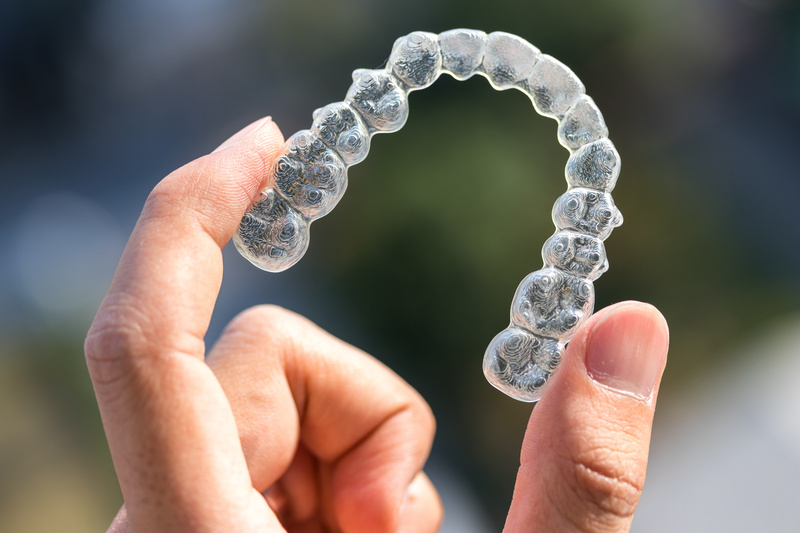 For more smart money saving tips on how to save on the cost of contact lenses or any products to help you lead a healthy and happy life, be sure to visit our blog for more! Vacations are expensive. Let’s face it. How are you supposed to take an enjoyable vacation when you’re pinching every penny in your everyday life? There’s gas, plane tickets, daily excursions, food, and more. When you tally up the costs, even a camping excursion can rack up a large sum. But the vacation you want to take could be the experience of a lifetime. 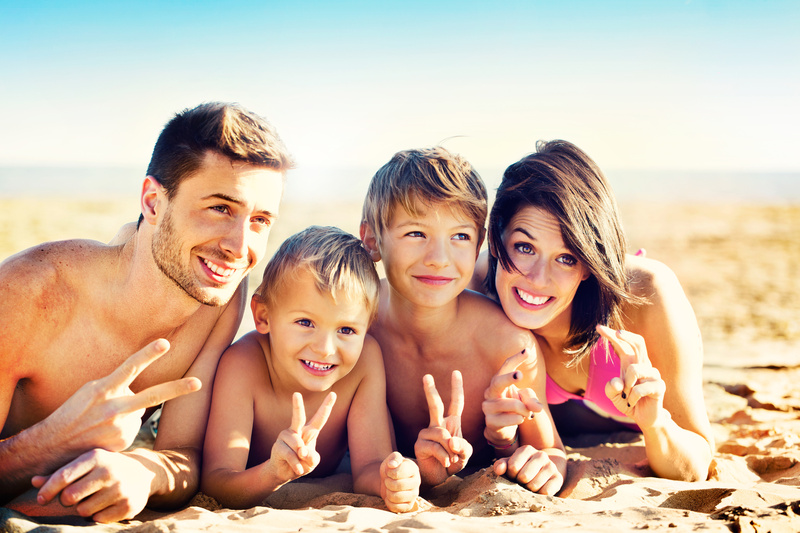 If you have a family, you want to do your best to create valuable memories that will last. If you’re a solo-traveler planning to backpack Europe, it’s likely that you’re aching for that trip and are just seeking for a way to make it happen. Here’s the thing: it’s entirely possible to inch away towards the sum you need to have an excellent vacation. 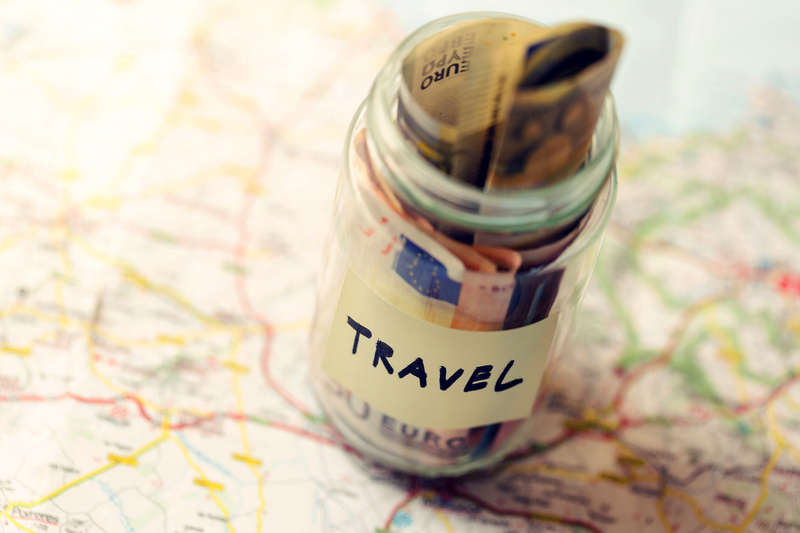 Read on, and you’ll find out a few key ways to save money and put it away towards a vacation. 1. Where are You Blowing Your Money? It’s understandable to splurge a little on things like coffee and snacks whenever you stop for gas. We all have those little guilty pleasures that we shouldn’t be spending money one, but is that where you want your money to go? 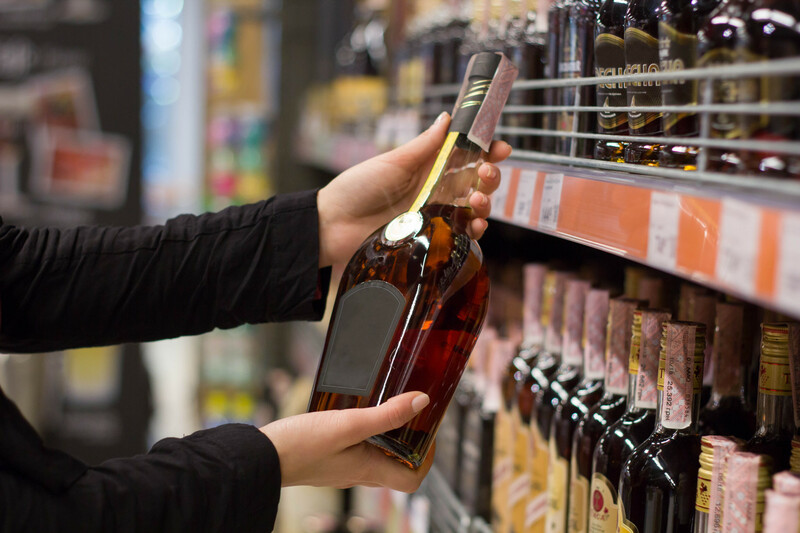 If you add up the cost of your weekly spending on non-essentials, you’re likely to find that you’re spending a lot more than you had previously thought. Things like soda, treats, movie tickets, and the like are all things that be eliminated. If you dedicate yourself to a year without, say, drinking soda, you’ll be able to save maybe a thousand dollars alone on that front. Not to mention, you’ll be a lot lighter for that hike through the Andes! 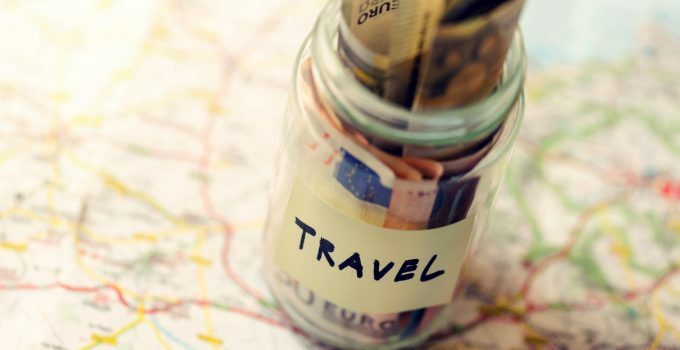 The most important thing you can do to save money for your vacation is cut out non-essential spending, and set aside the money you would use whenever you have a hankering for that bag of Doritos, or can of soda. It can be difficult to start saving when your vacation fund is meager. It’s a lot easier to set money aside when you can see the result of your frugality. A great way to get your savings started is by having a garage sale. Gather up all of the stuff you don’t need- old clothes, microwaves, knick-knacks, whatever. Often times you can get rid of a lot of clutter while making a couple hundred dollars to tuck away for your trip. A lot of times neighborhoods will have community garage sale days. 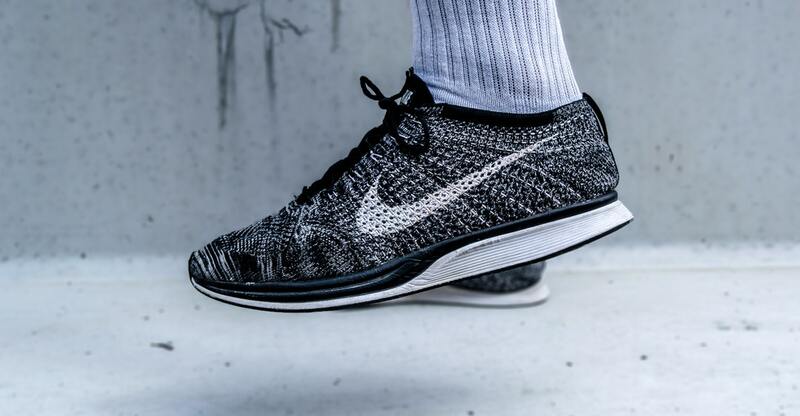 These are great because everyone knows that there will be a sale, giving you a lot of traffic that you would otherwise miss out on. If you don’t have a community garage sale day, you can always advertise on Facebook a few days in advance to get the word out. Pawn shops are often a place that your parents tell you never to enter. They rouse images of people selling their priceless items just to have money for gas or cigarettes. This is definitely not the case, and you can get some value out of the things that you couldn’t otherwise get rid of on Craigslist or similar sites. Know that you won’t get the full value for your items. Resort to pawn shops only if you know that you’re not going to be able to sell your items to anyone else. Additionally, if you’re not having luck selling online and your trip is coming near, pawn shops are a great way to get that last little cushion that you need. There are a lot of employers that are just looking for part-time work. If you already have a full-time job and you need a little extra cash, consider finding something that only requires you to work one or two days a week. There are plenty of part-time gigs on Craigslist or Indeed, and you won’t be tied down to a commitment that you aren’t able to come through for. Another thing to consider is working for a delivery service, or taking online surveys. You will find a lot of little side-gigs online if you do a little research. It’s really easy to dip into your vacation fund when you need new tires or your old bicycle needs a tune-up. If you’re not in dire need of money, do your best to find out how to get the money you need in other ways. Your vacation will never happen if you keep pulling money from your savings. An easy way to avoid this trouble is to create a separate account to save your vacation money in. You can set limits on withdrawals, having a way to keep your money safe from yourself. If your wallet gets too tight you can always use the money for something you need, but if your goal is to go on a vacation try to discipline yourself and save what you want to save. There are a lot of sites online that send email blasts with travel deals. Whether you need to take a survey or subscribe to a website, you may find a lot of discounts online. Additionally, keep an eye out for plane tickets far in advance. You’ll often find the best deals if you’re thinking ahead and planning your trip a few months out. In fact, if you buy the tickets early, you’ll be more inclined to save that money and dedicate yourself to planning your trip. There are so many great ways to find deals on vacations available online. Do some research and make sure to fine-tune your trip to your preferences and your family’s needs. If you’re having difficulty finding extra money to set aside for your vacation, take advice from other people who have done it. Often times it takes that friend or individual online who has a special trick or trip. Be sure to look around online for advice on travel or budgeted living. You work hard for every dollar so you can enjoy your downtime with family and friends at home. It’s easy to get into a rut or to find that your taste and needs change as your family does. 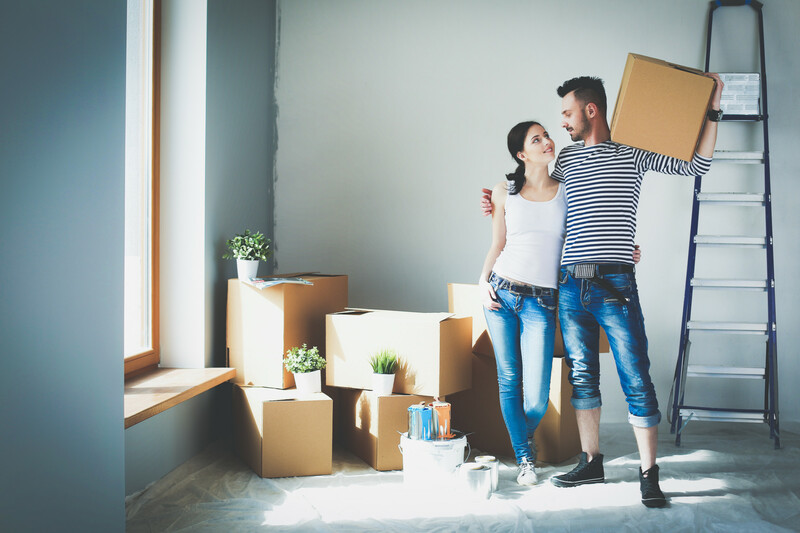 Home renovations are a great way to fall in love with your home again and maximize the potential of the space you have. But with the average cost of a remodel anywhere between $18,000 and $36,000, it may seem like an impossible dream. You don’t have to restructure your house to give it a facelift that’s practical and won’t drain your life savings. There are several ways you can cut costs by being a smart shopper and doing your research. This is an excellent option worth looking into. If you’re looking for building supplies, cabinets, fixtures, and other renovation materials this may be someplace you want to check out. You’ll not only get a great price on materials but you’ll also be helping a great cause. Shop around. You don’t need to go into debt to update your living room or brighten your kitchen. Look for deals on discontinued styles, second-hand options and wholesale or overstock prices. Garage sales can be an awesome place to find furniture, materials, and accents to complete your new look. 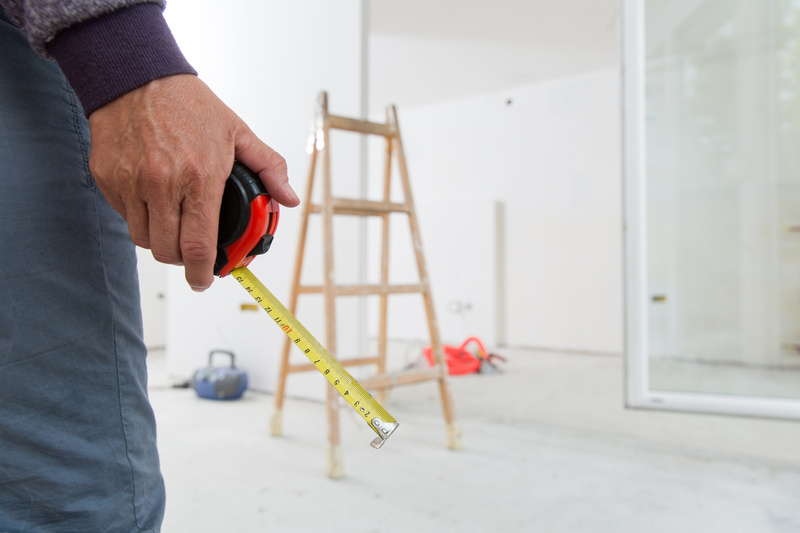 You may think that sounds improbable, but there are ways to make some dough while you complete your home renovations on a budget. Why not film or blog about it. 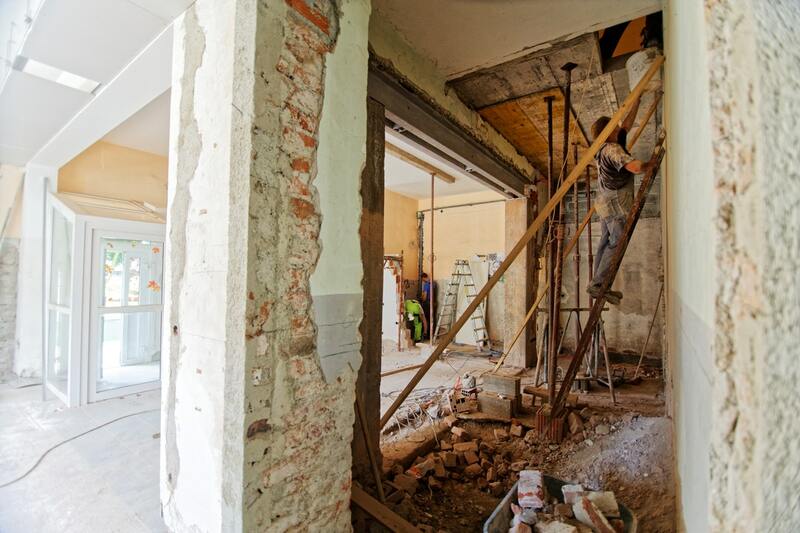 You could be the next online home renovation sensation with one viral post. Make how-to videos and instructional blog posts if it turns out great. Many people monetize their blog or YouTube channel to maximize their return. And there’s always America’s Funniest Home Videos, What Not To Do videos, and blooper reels that could be in your future. Submit articles to online magazines to contribute content. Many pay for videos, pictures, and articles from freelancers. If you already have an established blog or Instagram presence, you may be able to turn that following into savings. Propose to local stores your willingness to review, promote, and provide positive social media marketing in exchange for discounted or donated materials and services. 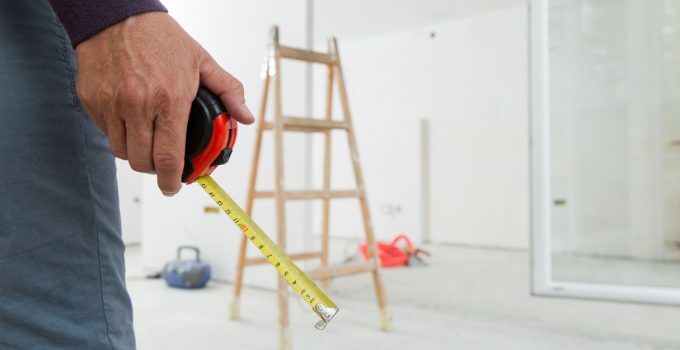 If you’re planning on future renovations consider building your online following now so you can use your online presence as a bargaining tool when you shop for supplies. You need to build some influence to be an influencer or have anything to offer. You don’t have to tear down walls and throw your furniture away to make a huge difference. Adding more effective lighting, unique accents, fixtures, and details can have a noticeable effect. Often it’s not that people don’t have enough space; it’s that they don’t make the most of the space they do have. Identify what you want to accomplish most with the renovation. Do you need more space? More storage? Are you craving more color or more personality? Once you know what you want, you can develop a plan to best accomplish that. You may not need a whole new room added on so the kids have a place to play. 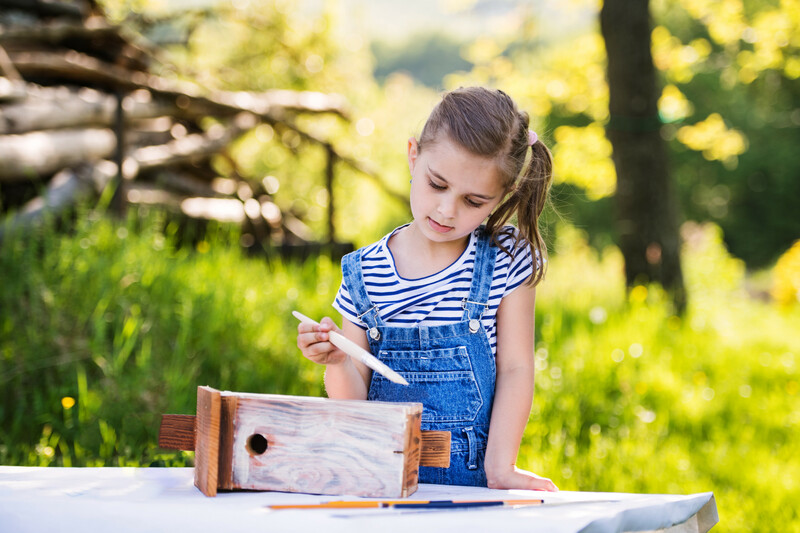 It could be as simple as more storage, a craft or game table that folds up into the bookshelf, and some chalkboard paint for the rec room walls. If you’re looking to save money then you want to be more energy efficient. This doesn’t mean you have to install solar panels on your roof or start driving a car that plugs in. You can make some small changes that will make a big difference in the long run. Your energy bill may be sucking pressures dollars out of your budget. Americans spend $19 Billion on energy bills for idle electronics. Unplugging appliances, electronics, and chargers when not being used can make a significant difference in your energy bill and that means more money for your renovation budget. The average American household has approximately 50 devices, chargers, electronics, and appliances not being used that are drawing power. Switch out your light bulbs for energy efficient ones and don’t just help the environment but your bank account too. You can save as much as $75 a year by making the switch. While new windows may seem like a major investment, they are well worth thinking about. They can provide a whole new look to a room and entire home. It may even be good for your health as it allows more natural light into your living space. They can also save you a sizable amount on your heating and cooling costs. If you shop around and talk to an expert at a store such as Renewal by Andersen windows and doors, you can find the best option for your budget and vision. Putting the investment into new windows can save you a lot of money in the long run and increase the value and aesthetic of your home. A coat of paint, a refinished bookshelf that’s built into the wall or reupholstered furniture can give a whole new look to a room. Check out Pinterest, DIY videos and other resources to develop a vision for the space you have. A change in color scheme, new cupboards, shelves, and organization can be an easy way to make you feel like you’re in a whole new house. Think about solutions like outside sheds, converting the garage into an office, or making better use of your unfinished basement. Donate stuff you don’t want or use. Some places give you a discount if you donate enough bags. Then you can pick up new items to go with your new look. We’re always saying we wish we could spend more time with friends and family. Why not do it while holding a hammer or a paintbrush? You have friends with talents and skills. Put on a pot of coffee or crack open a beer and pick their brain for cost-saving tips. Plan a barbeque or throw a summer party and build memories while you build a new kitchen nook. You don’t have to change everything at once. Pick the projects that will bring you the most joy when they’re done and start with them. Set a budget and do your research. Your renovations are supposed to bring your family happiness not create financial and life stress. Do one project at a time. Shop around and don’t just stick to the traditional frustration and debt of major home renovations. Think outside the box and see the big picture. Smart choices can make a huge difference without creating a huge debt. Date nights don’t have to be all about extravagance and expense. In fact, some of the sweetest romantic gestures cost absolutely nothing. If you’re looking for fresh date night ideas for you and your partner, and want to keep things to a minimal cost, we’ve got some excellent suggestions for you. Whether it’s a cozy night in or you want to get out and about for an evening low in cost and high in romance, these suggestions are bound to give you plenty of great date night ideas. It may be a tried and tested idea, but simply staying in with your partner and snuggling up to enjoy a movie together is a cost-effective, romantic way to enjoy a date night. But make it extra special by getting the throw rugs and pillows out and cuddling on the sofa together. Light candles and set the mood. Bring in a cooler for whatever you and your partner enjoy drinking on ice – beer, wine, even their favorite soda. Once settled in, no-one should need to lift a finger. Make sure all your nibbles, drinks and anything else you might need is ready and waiting in the living room before you hit play on the TV. Choose wisely when it comes to the film you watch. Different couples enjoy different genres. If classic romantic comedy is your thing, go for that. If a horror gets you cuddled up and hiding under the blanket, find something spooky for your night in. Wait until the clock strikes 12 and head out together into the night, when everyone else is tucked up in bed. Taking a moonlit stroll under the stars, somewhere quiet and serene, can be a lovely way to unwind and spend some romantic time together. Find somewhere you know is quiet and safe and head out together. Take a walk around a moonlit lake, cycle around a quiet track or drive along the coastline. If it’s summertime, enjoy the warm evening air. If it’s winter, wrap up and enjoy the crisp chilly night. As long it’s just the two of you, alone in the night, this can be one of the best date night ideas. Date nights don’t have to be all serene and tranquil. In fact, getting a bit competitive can spice things up in a relationship. So why not break out the board games and enjoy a night of friendly competition together. Battle against each other and set a forfeit. Maybe the loser has to do the dishes for the next month, or cook a fancy meal at the weekend, or wait on the other person hand and foot. It’s a fun and low-cost way of enjoying a night together and injecting fun into your romantic time alone. And if you’re playing things right, you’re bound to become his secret obsession. Perhaps you’re watching the pennies because you’re saving up for something like an expensive vacation or a wedding. Make a date night out of researching and planning this together. Get the laptops and the magazines out and snuggle up by the fire, with wine and snacks, while you do some research for the event you’re planning. If you’re traveling somewhere, take a look at the websites and brochures together and start planning. If your wedding needs arranging, begin looking at venues online and menu ideas. These things are meant to be romantic. You’re planning these things together for an exciting adventure, so do it as a date night. Date night ideas that incorporate ice cream allow you the option of either staying home or going out. There’s something very cute about enjoying a sundae together. It’s very Danny and Sandy from Grease. And it’s not an expect way to pass an evening together. If you fancy staying in, hit the local store and collect some different flavored ice cream and an array of sauces, sprinkles, fruits, whipped cream, and candies to decorate them with. Enjoy a fun night experimenting together with different sundaes. It’s sweet, delicious, creative and fun. If you’d rather gaze into other’s eyes over a Rocky Road, find the closest ice cream parlor and order your favorites. Sit back, allow yourself to be served, and enjoy an evening in each other’s company. Find a bar that hosts open mic, improv or karaoke and go there. These places are often relatively cheap and the entertainment is light and fun, with a sense of group participation in mind. Either use this as an opportunity to try something new or discover new things together, or see it as a way to get involved yourself. Make sure no-one else you know is likely to be there. Plan to get up on stage and sing a duet. Or maybe one of you would like to dedicate a romantic ballad to the other. Not only is this free – you may even get paid to babysit someone else’s kids. Although this perhaps won’t be the case if you’re no longer a teenager! But babysitting together is a cute way of spending some quality time with one another. 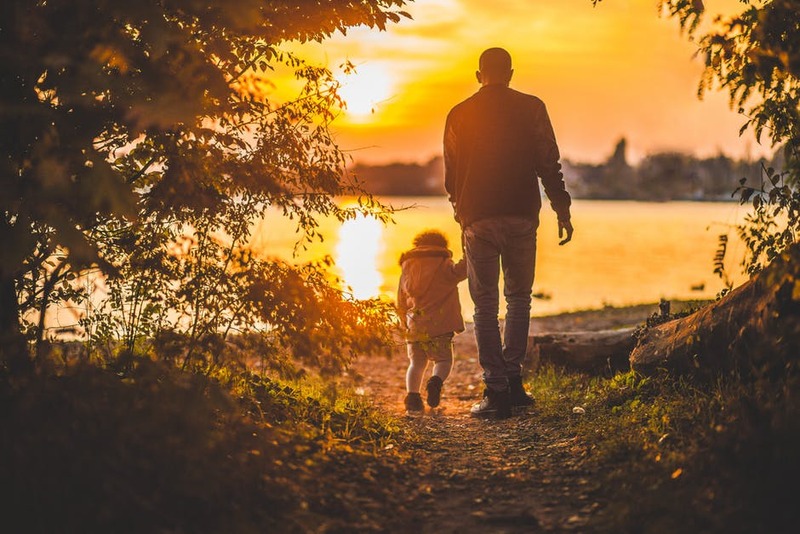 Interacting with the kids you’re looking after can often bring out a sweet maternal or paternal side in you or your partner. Depending on the stage in your relationship, being around children can be a sweet way of getting to know one another better. Then, the kids go to bed. And you’re left with a cozy night in front of the TV together, where you can simply relax and enjoy each other’s company. Treat one another by bringing in luxuriant items (not too expensive though) and have a spa night together at home. Give each other manicures, pedicures, massages, face masks and so forth. This can be done cheaply. You can even make home-made remedies or face masks, adding to the fun. Take a bath together with bubbles and candles, get into comfy robes and enjoy these treatments together for a relaxing date night at home. 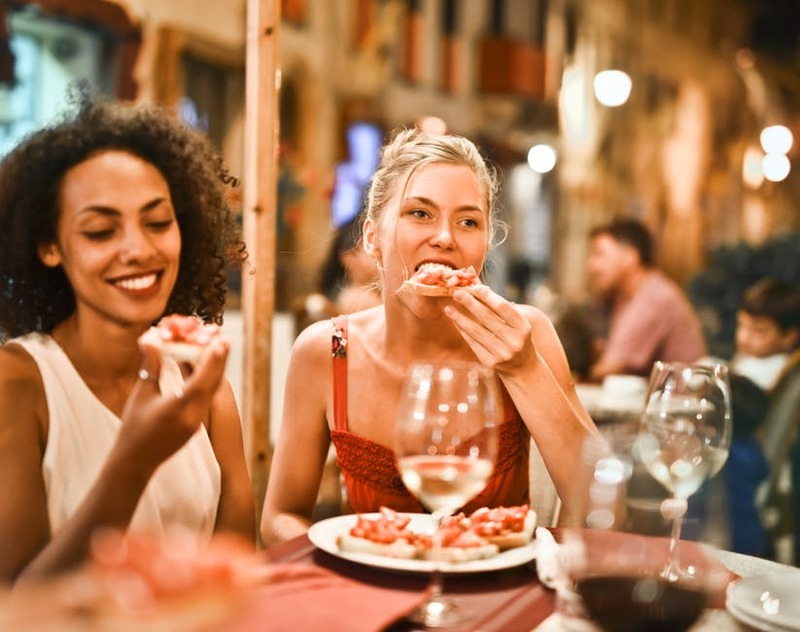 We’re sure that these date night ideas will give you and your other half plenty of chances to spice up your relationship and enjoy one another’s company trying something new. The best thing about them is that you can have a fantastic evening without breaking the bank. Have you got any suggestions to add to our list? If so, leave a comment below and share your favorite date night ideas with your fellow readers. Getting married? Thinking about hiring a wedding photographer to get professional-quality pictures you can thumb through years down the line? The one obstacle that prevents couples from hiring a photographer is the expensive fee they demand. What’s worse is that this fee continues to rise as time passes on. As a matter of fact, the average cost of a wedding continues to increase each year. In 2016, the average wedding cost shot up to $35,329. A large portion of this goes to food catering, the wedding dress, and the photographer’s fee. The good thing is you can reduce the cost for a photographer, saving that cash for something else like your honeymoon! To start, you should book a photographer ahead of time. One good tactic to reduce the costs of a photographer is to book early. By doing so, you’ll have a monopoly on the schedule.The more you wait, the higher the demand becomes and photographers will charge a higher fee if their schedule gets too tight. Most photographers will also give a discount as long as you can pay some kind of down payment. This discount seems small at first. 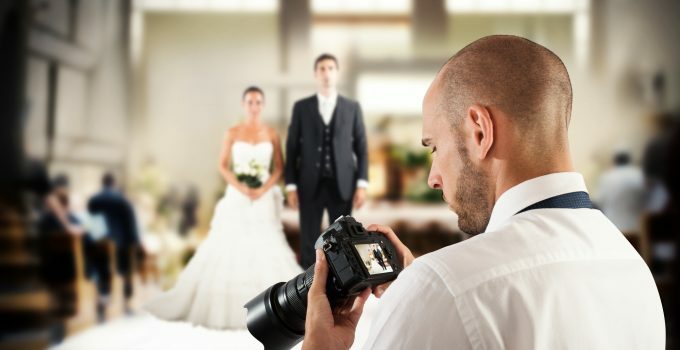 However, you’ll see how vital the discount becomes when you consider how you can use the savings to avail other photography features or to pay other wedding expenses. How early should you book a wedding photographer? Book as early as six to nine months ahead. If your wedding is in January, for example, book the photographer in July. Some people can afford a photographer for 10 hours. This often covers everything, from the preparation in the hotel to the wedding ceremony and then the reception dinner at night. Do you need that much coverage? If you don’t, discuss with your partner which part of your wedding you’ll need a photographer. 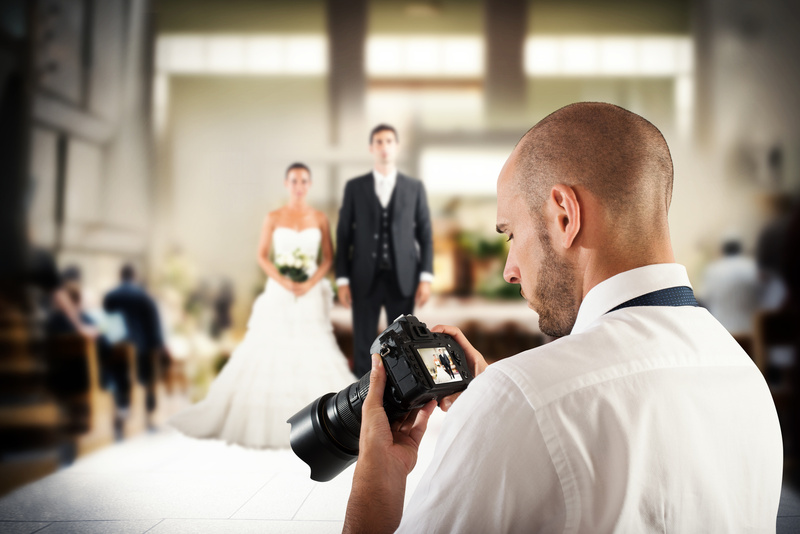 Friends could take pictures of the reception but you might want a professional to take photos of the ceremony. Maybe you prefer it the other way around. Limiting the amount of time you need a photographer will cut down the costs by a big margin. They often charge by the hour and according to the features you request. Take advantage of this and hire a wedding photographer only for a short period. When budgeting a wedding, you need to start with the costs for the legal procedures first. Got all that done? Work on your budget for the reception, gowns, suits, and floral arrangements. Once you finish up listing the essentials, you’ll have a better idea how much money you can allocate for the photographers. The next step is to look for photographers that fit the finalized budget. It’s always a good idea to start locally before broadening your options to photographers out of town. Local photographers won’t charge for their travel fees and accommodation, meaning you get to save cash on that front. From that point, it’s a matter of looking at their work and seeing which wedding photographer gives you more bang for your buck. They may all cost relatively the same but some might offer better options or more experience and skill in the field. If a friend or relative referred a photographer, make it a point to ask for referral discounts. 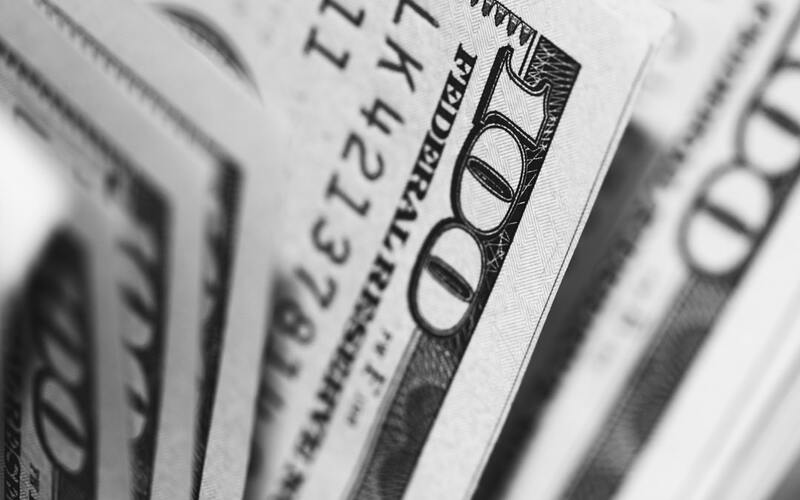 Some photographers will knock off $100 to $200 thanks to a referral. Make it a point to tell them who referred them to you and, if possible, refer the photographer to another couple getting married soon. This referral system guarantees the photographers that they stay in business. Giving a discount is their way of thanking you and your friends for helping them stay afloat and build their brand. You also want to reconsider getting features like Same Day Edit (SDE) videos. An SDE is a video made using footage taken previously in the day. These videos often play during the evening reception dinner as a way to celebrate the event while the guests are still present. They’re getting more popular nowadays, especially with social media platforms giving people the opportunity to share content in an instant. As a matter of fact, videos are so popular that over 500 million people watch videos on Facebook per day. However, SDE videos are expensive. There’s a lot of effort put into these projects, hence the high fee. If you’re on a tight budget, you may need to remove it from your photographer’s to-do list. The last bit is one of the most important to consider. If you want to cut down the costs by a significant margin, keep things digital. Printed photographers aren’t as popular as they once were. Many film printing shops closed down in the past ten years and even Kodak stopped releasing their brand of cameras in 2012. You’ll only find a few shops that print traditional film. This means hiring a photographer and asking for printed pictures is going to cost you a hefty amount of money. You can cut down your costs by keeping things digital. Let them send the photographs and videos through the Internet or on a memory card. If you want printed photos, print them on your own when your budget lightens up. You can also invest instead in turning photos into paintings. You can check here for more info on how this works. With these tips, you can still get a great wedding photographer while saving money for other expenses. Don’t wait further and book a photographer today. But a photographer is only the beginning. If you’re looking for more tips to save cash and still have a memorable wedding, visit us today! We can show you how to find the right theme or help you decide if you want an extravagant destination wedding.